Costco’s e-commerce sales grew 28.5% in the most recent quarter, the company reported on Wednesday. Initiatives such as offering special deals via email and grocery delivery helped boost online sales. “There’s a lot of low-hanging fruit there,” Costco’s CFO said, alluding to the company’s tendency to lag behind competitors on e-commerce efforts. Costco is finally making an effort to grow online sales. E-commerce sales skyrocketed 28.5% in the company’s second quarter, Costco reported on Wednesday. Same-store sales across the company increased 8.4%. “There’s a lot of low-hanging fruit there, because there’s a lot of things we haven’t done in the past,” Costco CFO Richard Galanti said during a call with investors of the company’s e-commerce growth. Business Insider/Jessica TylerCostco is trying to keep customers coming back to stores while also shopping online. 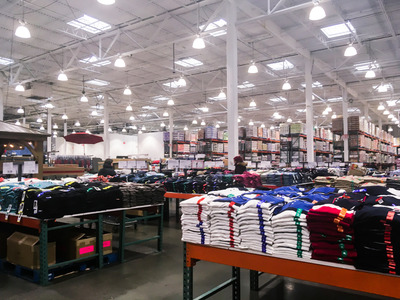 Historically, Costco has lagged behind competitors such as Walmart and Target in terms of online sales – in wide part because the budget retailer didn’t make any major effort to grow online sales. That is finally beginning to change. Over the past year, Costco has announced new e-commerce initiatives, such as two-day delivery through Costco Grocery on nonperishable foods and Instacart delivery for all grocery items. It’s also a threat to Amazon, which has launched bulk shopping on its website through the Prime membership program. “The biggest things are awareness and cross-marketing” to persuade in-store customers to give online shopping a try, Galanti said. According to Galanti, Costco has found success through new email marketing strategies, with more customers than ever opening emails from the retailer. “We’re sending them some really hot items, including some ‘while supplies last in stores’ on some of these items,” Galanti said. In other words, Costco’s e-commerce growth isn’t revolutionary. It’s just doing things other companies have been doing for a long time – and it is working.